The last decade in the global arena has witness a tremendous growth in the area of information technology. Rapid advances in the technologies for communication media like television, computer, internet, printing and publishing has enabled us to get prompt access to required information. Information Technology (IT) has become one of the most robust industries in the world. It, more than any other industry or economic facet, has increased productivity, particularly in the developed world, and therefore is a key driver of global economic growth. The IT sector has emerged as a major global source of both growth and employment. IT Industry in the country has played a major role in placing India on the international map. The Indian IT Industry mainly comprises of instance System Integration, Software experiments, Custom Application Development and Maintenance (CADM), network services and IT Solutions. I strongly believe that at RGCSM, our true strength lies in the quality of our people, many of whom have been with us for over 20 years and consider this organization to be a part of their family. Today I am proud to say that we have created a work force whose loyalty and hard work are prevailing across the organization. Going forward too, our employees' passion to excel will continue to be the backbone of the RGCSM. 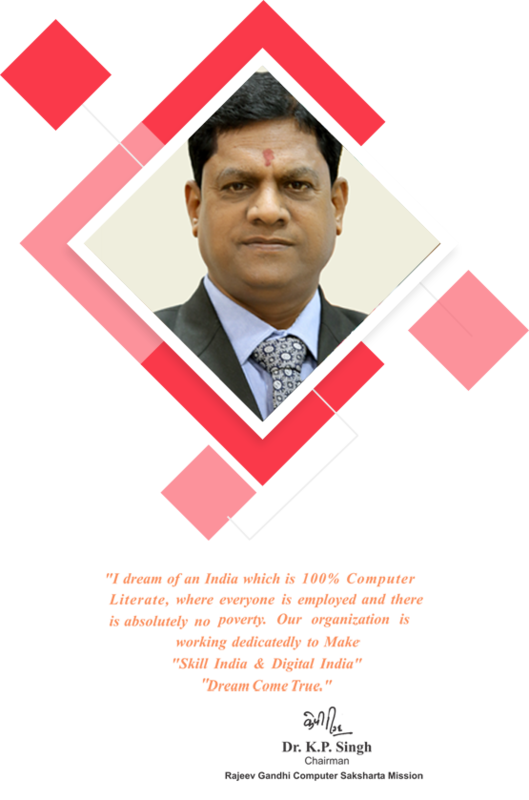 With the launching of “Digital India” initiative by the Government of India, the role of RGCSM is likely to grow substantially in the near future as the demand for IT services and is expected to rise rapidly. Rajeev Gandhi Computer Saksharta Mission is to rededicate itself on strengthening its services with complete fairness, transparency and objectivity with a view to ensure timely execution of projects.